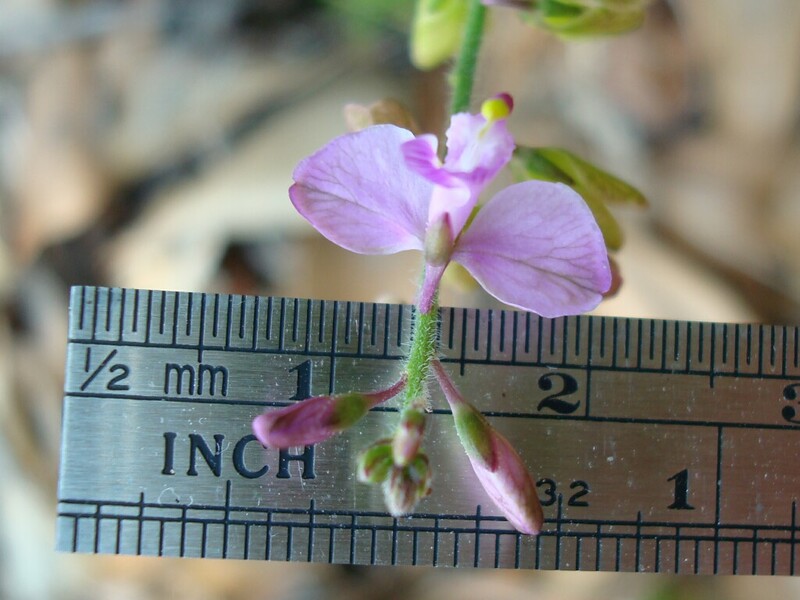 Showy Milkwort is also known as Large Flower Polygala. 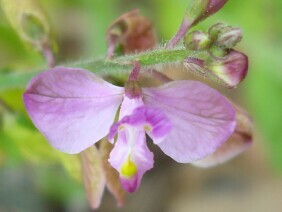 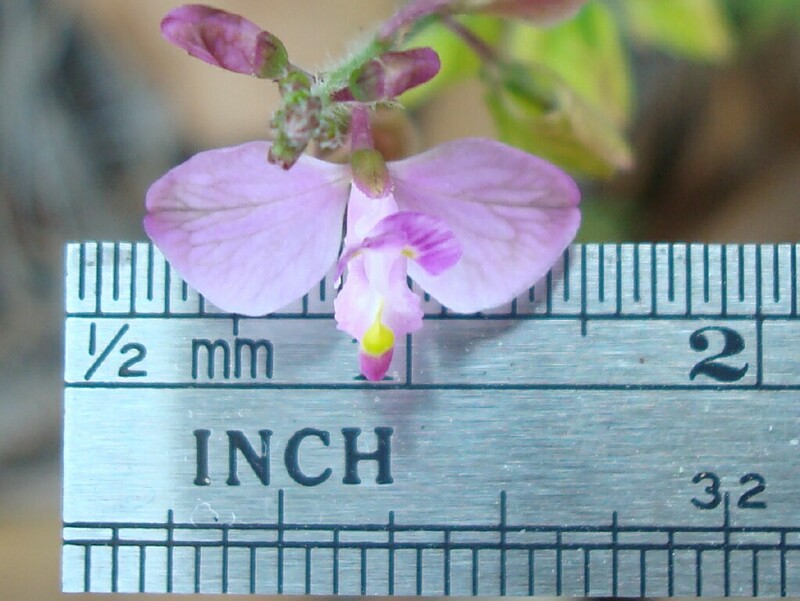 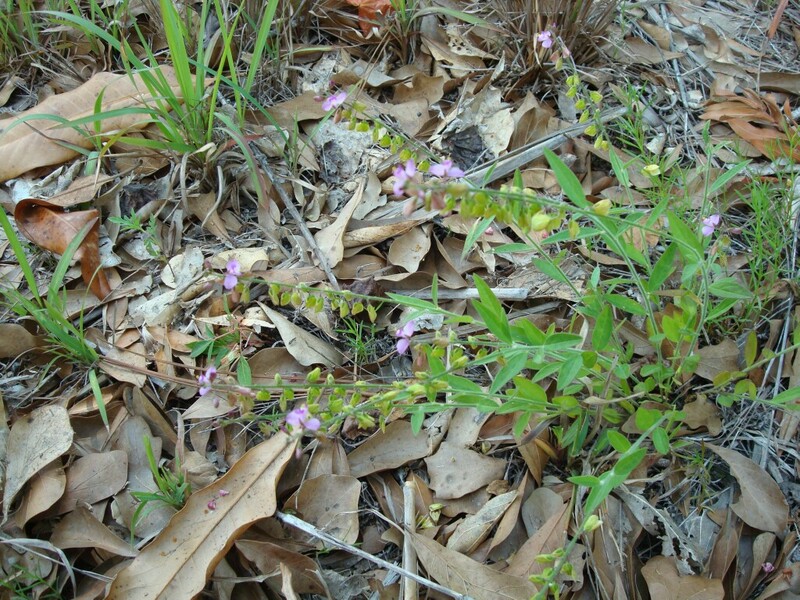 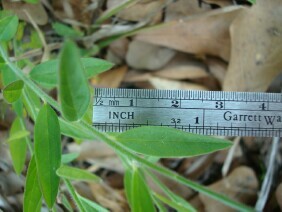 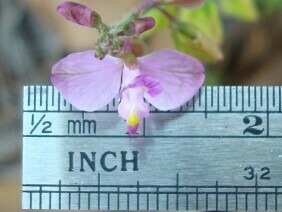 However, the flower is large only in comparison to other mikworts. 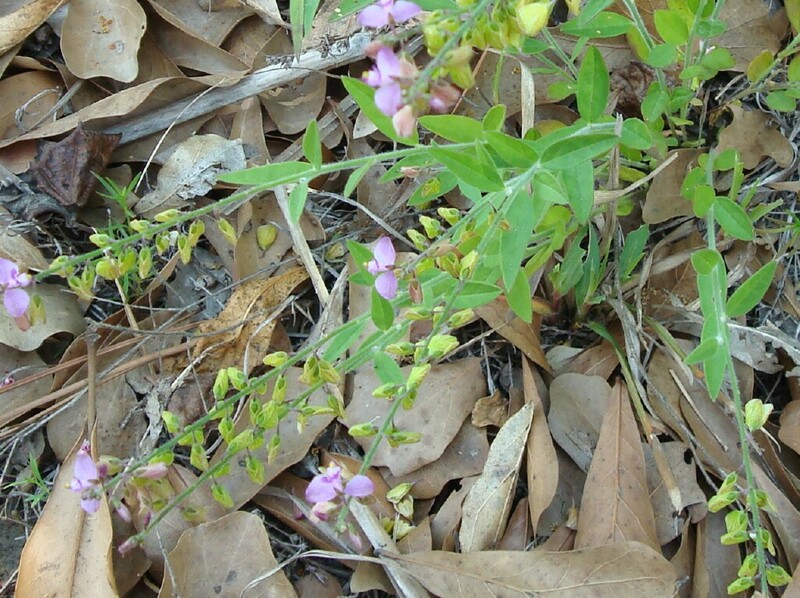 The plant is rather small and spindly, easily overlooked, as indeed are most members of the milkwort family. 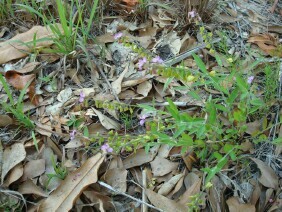 This plant was photographed near Deer River Road, in South Mobile County, Alabama, in mid May.